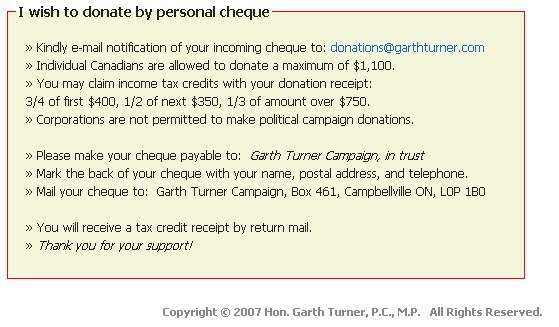 Michael Ignatieff taking illegal donations? That’s the conclusion one may come to if one reads Don Martin’s latest column in the National Post. However, it seems that Don doesn’t come upon the conclusion himself. The fundraising numbers for the last quarter of 2008 have come out and the story is the same, yet this provides fodder for political columnists since money is important in politics to build well-oiled political machines. The Conservatives are flush with cash rounding out 2008 with $21 million while the Liberals with about $6 million. Yesterday, I spoke with Jack Layton and the NDP leader was astonished that his party posted 90% of the Liberal total, though he sounded like he was chastizing the Liberals rather than bragging about his own party’s strength. The other glimmer of Liberal hope is political weaponry they have purchased from the Barack Obama campaign. Specifically, they have purchased computer programs and donor-targeting technology at a discount from the friendly U. S. Democrats and plan to unleash hundreds of gigabytes at crafting a master list of donors while combing the country for new support. It looks like the Liberals are starting to get their game in gear, or are they? Last summer, I met a member of Obama’s senior staff at a web 2.0 conference in New York City. The staffer told me that the Liberals had once contacted the campaign to adapt some of their fundraising capacity. The result? The Grits never followed up. According to Martin’s piece, Ignatieff’s team finally did and they got a discounted rate. But it is this discounted rate which may pose a problem for the Liberal party. What does the Elections Act say about discounts? (b) another person who provides that property or service on a commercial basis in the area where it was provided, if the person who provided the property or service is not in that business. “non-monetary contribution” means the commercial value of a service, other than volunteer labour, or of property or of the use of property or money to the extent that they are provided without charge or at less than their commercial value. Ok, so the Democrats allegedly provided a non-monetary contribution because they sold computer programs to the Liberals at a discounted (less than commercial value) rate. So, do the Liberals have to fill out some forms? No! Thankfully, they’ll save some time because the contributions themselves are ineligable. 404. (1) No person or entity other than an individual who is a citizen or permanent resident as defined in subsection 2(1) of the Immigration and Refugee Protection Act shall make a contribution to a registered party, a registered association, a candidate, a leadership contestant or a nomination contestant. 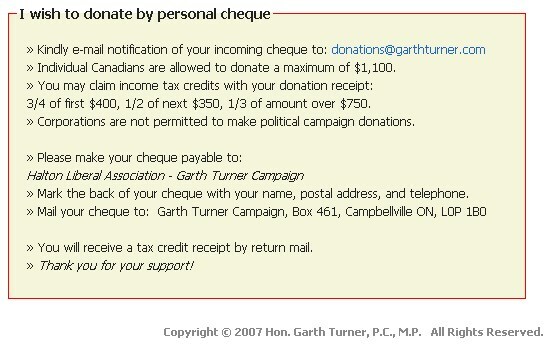 The Liberals as a registered political party appear to be taking non-monetary contributions from foreigners to raise more money in Canada. If Don Martin’s account is true, the Liberals aren’t playing by the rules. This should raise some serious questions about the judgement of Michael Ignatieff. Liberals receiving discounts from the Barack Obama campaign? You should note that the Liberal Party has not, in fact, purchased software from the Obama campaign or any other supplier. Though we are currently exploring options for more powerful software – including products like those used by our friends to the south – we have not made a purchase, let alone at a discount. The statement appears to stem from an interview granted yesterday, and I am in the process of clarifying this unfortunate misunderstanding. I hope this clears things up. I appreciate your cooperation in clarifying this matter for your readers. 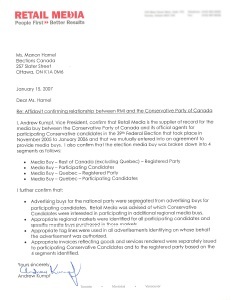 Posted on February 3, 2009 Author Stephen TaylorCategories OtherTags barack obama, daniel lauzon, democrats, don martin, elections act, elections canada, jack layton, michael ignatieff, party financingLeave a comment on Michael Ignatieff taking illegal donations?